The horror stories about do-it-yourself estate planning are both plentiful and tragic. Between the fear of probate and the fear of legal fees, inventive people invent inexpensive strategies for passing property to the next generation. Adding someone to the deed is the most common one I see. It works like this: in order to see that her house passes to her kids at her death, Mom puts the “kids” on the deed to her house today. She thinks that will assure that, at her passing, real property law will automatically make the kids the owners. No probate, no fuss, no delay. What Mom doesn’t fully understand is that her deed to the kids gives them an interest in the house, TODAY. So, if there is a economic melt-down the the kids’ financial lives, the kid’s creditors can lien and levy their interest in Mom’s house. If one of the kids files bankruptcy, the kid’s share of the house passes to the bankruptcy trustee, TODAY. Far from creating stability and simplicity, the add-them-to-the-deed trick can create chaos. And land Mom in bankruptcy court, fighting a bankruptcy trustee. California, bless its heart, has enacted a solution: a deed effective only on death. Created by Probate Code 5642, a Transfer on Death deed gives the “kids”, in my example, an interest in the house effective only at Mom’s death. The deed is revocable as long as Mom is competent. It can be used only for a home or a multi-family unit of 4 units or less. It doesn’t protect the kids’ interest in the house from Mom’s debts, but a recent amendment protects the transfer from Medi-Cal Recovery claims. The deed must be recorded within 60 days of execution. Unlike other deeds, it doesn’t need to be delivered to the beneficiaries to be effective. What’s magic about the Deed On Death is that the next generation has no interest in the property until Mom’s death. There is nothing for the kid’s creditors until Mom’s passing. So, if the kids end up in bankruptcy, they don’t drag Mom along and find the trustee selling Mom’s share of the house. Stay out of bankruptcy and we may never meet. The statute provides a form which must be used and has a FAQ page. You can get more information online from the Sacramento Public Library (yeah, libraries!) or from CANHR. 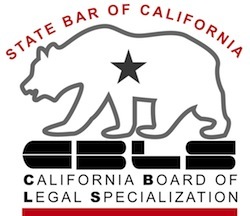 Let’s keep DIY estate planning disasters out of California bankruptcy courts.